Rained-off from my gardening duties this afternoon, I was sat at home preparing a pub quiz when a message appeared on the grapevine from Jonathon to say he'd had a great egret fly past him and it was now on the big pool at Druridge. The rain had stopped and the quiz abandoned. Mixed messages on the grapevine had me confused but I headed to the Oddie hide to find a few folk watching great egret on the southern bank of the pool. A nice adult coming into breeding plumage. It was too obscured by a willow bush that has shot up near to the hide for a photo (note to self: ask NWT about dispatching (I mean coppicing) the willow). A good year-bird that is becoming much more common. Incredibly it has been recorded on the patch in five out of the last six years. Both great egret and spoonbill used to be megas a few years ago, now they're annuals! Jonathon was having a good day - whilst I was admiring the egret, he was watching a velvet scoter offshore. I hung around and counted the gadwall - 30! that's an impressive count for Druridge. Six red-breasted merganser and a handful of goldeneye were also noteworthy. I headed for the dune-ridge.There was no sign of Jonathon or his velvet scoter- in fact there were no scoters or Farooqi's at all. There were 27 red-throated divers which was a good count and my first puffin of the year, just the one, but a good start for March. 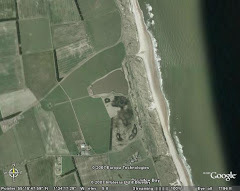 The Whoopers, about sixty, and the lone Bewick's swan were scope-able from the dunes. We've had news of a ringing recovery from BTO, which is always exciting. 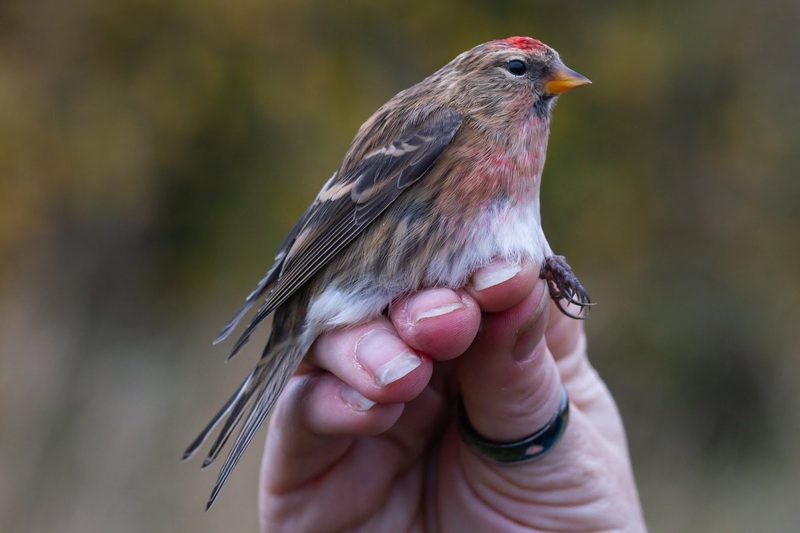 One of the eleven lesser redpols, which were mostly 'younguns', that we caught on 14th October last year has been caught again by a ringer in Swaffham, Norfolk - 329km from Druridge, 160 days later and now identifiable as a female bird. Not the bird caught in Norfolk as this is an adult, caught on the same day -nice though.